5. 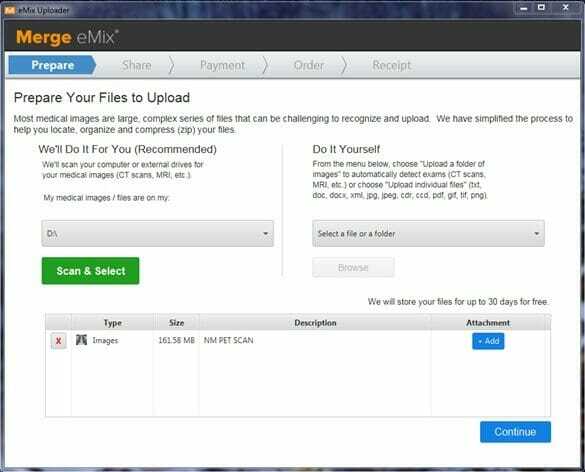 An eMix Uploader will appear on your desktop. 6. 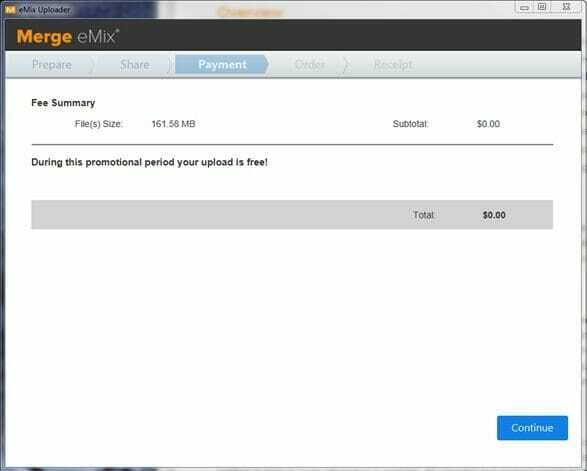 Launch the eMix Uploader. 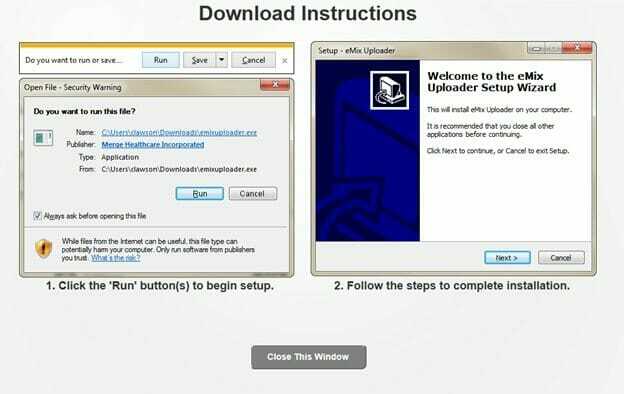 Prepare your files for upload by choosing one of two options. 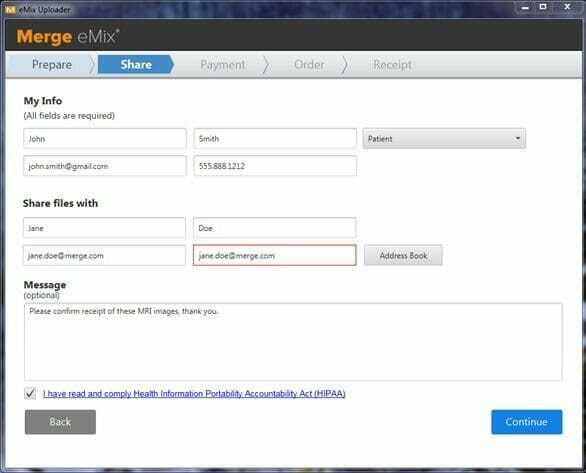 Once the file has scanned and selected, you may attach a document to the image if needed by clicking on the “+Add” button. When ready, press the “Continue” button. 7. Fill out all required fields in the “Share” tab. Choose your role on the “My Role” dropdown, either Patient or Healthcare Provider. Include an optional message and click on “Continue”. 8. 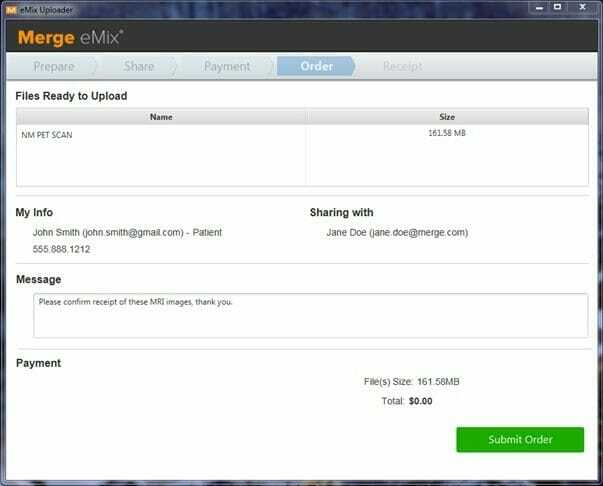 You can bypass the Payment tab since sending medical images to a Merge eMix subscriber is free. 9. Submit Order. The Receipt tab can also be ignored since the image upload is free. It’s that simple! The post Medical Image Upload appeared first on Dr. Tony Mork.